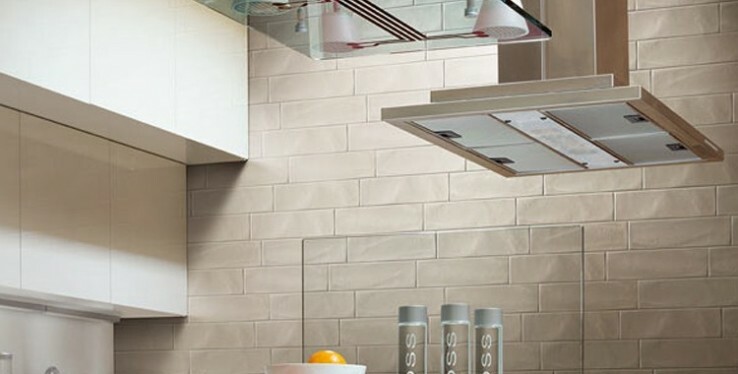 If you're planning an interior design makeover in your kitchen or bathroom this summer, consider using light, bright real stone tiles to add a sense of luxury, while making the most of the natural light you have coming into the room. The unfinished surface of real stone tiles helps to diffuse the light that hits it, so whether you rely on what comes through the window or you have bright spotlighting in the ceiling, you can cut out any harsh glare from the surfaces even when they are wet. In the kitchen, this means you get warmth and don't lose out on illumination, but you don't run the risk of being dazzled by a polarised reflection from a highly polished worktop. Meanwhile in the bathroom, it helps to make sure light levels inside match the brightness of the morning, daytime or evening outside - so you're not walking into a room that's too dark in the day, or dazzlingly bright in late evening. Of course in either room, you will need to make use of artificial lighting sometimes, but again the 'softer' surface of real stone tiles - at least in the way they reflect the light - means less risk of being dazzled when you switch the lights on in the dark of night. All of this creates a degree of optical comfort that works alongside the aesthetic appeal of the stone tiles to give the room a lavish and luxurious, but still welcoming feeling. The outcome is a positive one at any time of year, but in the summer months in particular, with longer lighter evenings outside, making the best use of that natural light can bring harmony to your interior spaces too. Finally, paler colours have a naturally cooling effect and will help to keep the heat out of the room on the brightest summer days, making your bathroom or kitchen into a haven to cool off when the sun is at its strongest.